Ashlie Martin is a licensed acupuncturist and national board certified herbalist practicing Traditional East Asian Medicine in the North Center neighborhood of Chicago. She uses a gentle approach in her acupuncture technique, various traditional modalities such as moxibustion and cupping, and employs traditional herbal remedies to treat a variety of conditions. Her practice has a strong focus on women's health, including gynecological issues, fertility, pregnancy concerns and postpartum recovery. She also treats a variety of other issues including digestive problems, sleep issues, headaches, arthritis, fibromyalgia, injury recovery, and emotional concerns such as grief, anxiety, depression, and stress. Ashlie is passionate about empowering her clients and caring for them as they reach toward a more balanced state of health. When not seeing patients, Ashlie spends the majority of her time nurturing her family. Her husband is a clinical psychologist, professor, and aspiring writer. Together they have a lively family of four and are enjoying all the adventures that come with living in Chicago and raising kids. The names of their two children, both born from pregnancies nurtured by Chinese Medicine, abstractly inspired the name of Ashlie's business. Moon Hill also reflects the association of the cycle of the moon with physical health, and the growth of new life during pregnancy. Both concepts deeply compel Ashlie in her work. 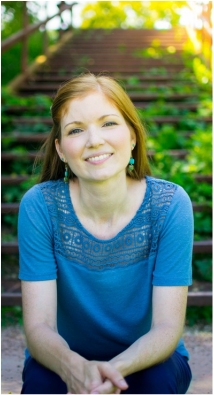 Ashlie graduated with a Masters of Science in Traditional Oriental Medicine from Pacific College of Oriental Medicine in Chicago and is a certified Diplomate of Oriental Medicine from the National Certification Commission for Acupuncture and Oriental Medicine.